Dr. Rothberg has achieved technological advances in human genome sequencing as an entrepreneur and a scientist. His ideas have improved the efficiency of agriculture and fuel production, with widespread effects. Courtesy of Jonathan Rothberg. Dr. Jonathan Rothberg’s journey in next-generation personal genome sequencing began in the neonatal intensive care unit. His newborn son Noah was completely blue from the inability to breathe properly, and Rothberg and the doctors did not know why. Noah would be okay, but little did Rothberg know that this heart-pounding experience, combined with his passion for engineering, would lead to one of the most widely used technologies for genomic sequencing and one of the most important recent inventions in medicine. As Rothberg’s father was a chemical engineer, Rothberg spent much of his childhood exploring and tinkering around in his father’s lab in the basement of their home. He remembers stumbling upon a collection of various scientific books, conducting chemical experiments, and programming his own computer. In some ways, Rothberg began his engineering career in the lab, building his own communication systems and using pyrotechnics to build fireworks as a personal hobby. Forbes praised the Ion Torrent and Rothberg’s personal genomic techniques as the “Next $100 Billion Technology Business,” for its potential to sequence the entire human genome in a few hours and make the sequencing viable for the public. Courtesy of Kris Krug on Flickr. 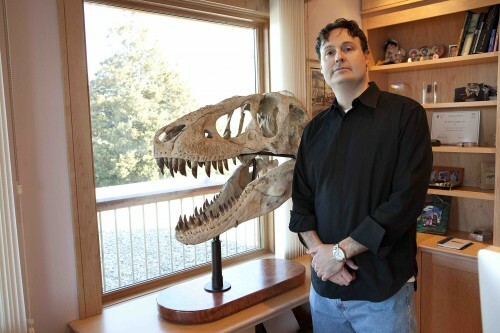 After majoring in chemical engineering with an option in bioengineering at Carnegie Mellon University in 1985, Rothberg went to Yale University to earn his M.S., M.Phil., and Ph.D. in biology. With the new molecular biology program, he was able to delve into genomic sequencing and began to think of a more systematic way for automating highly manual, costly DNA sequencing used at the time. Eventually, his project led to one of the earliest understandings of genes involved in the wiring of the nervous system. 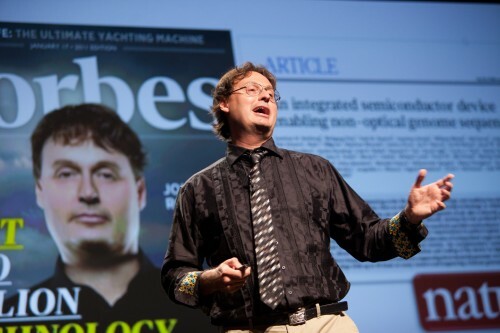 Just two years after finishing his doctorate program, Rothberg launched his first startup company, CuraGen, which developed drugs by using information from the human genome. It was a huge success. In 1998, CuraGen went public and, in subsequent years, raised over $600 million from public markets — and the company was worth more than either American Airlines or U.S. Steel. Although he had a secure career with CuraGen, Rothberg’s interest shifted to personal genomics. It was amidst this success that his son was born with breathing troubles. He realized then that he did not want to mine the consensus human genome but rather to understand “what made Noah unique and why he wasn’t breathing.” Thus, despite much criticism from his peers who said the human genome had already been sequenced, he shifted his efforts from drug development to personal genomics, starting another company, 454 Life Sciences. The silicon semiconductor chip used for DNA sequencing measures the charge of the ions released during DNA replication. 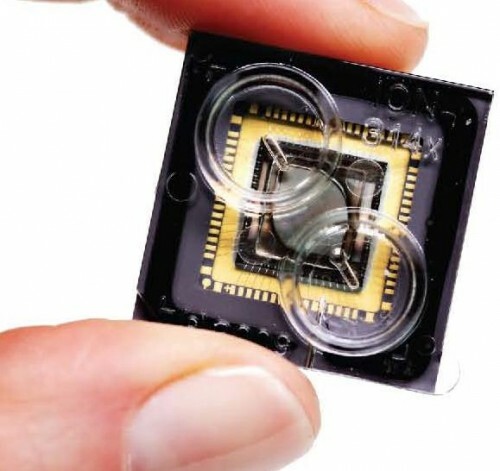 The chip allows the DNA sequence to be read directly without the physical information or optical systems that other sequencing machines require. Courtesy of MIT Technology Review. Rothberg brought about a scientific breakthrough in personal genomics. He developed a parallel sequencing technique to produce millions of DNA sequences at once, selling more than $100 million worth of new sequencing machines in the first year on the market. He was shocked to find one morning that his company had been sold to another company, but the event could not stop him from pursuing further research innovation. He founded Ion Torrent, a new company that would invent semiconductor sequencing, enabling sequencing machinery to exist on a tiny disposable chip. His technique leveraged an innovative approach to sequencing; it directly translated chemical information to digital information by detecting the number of hydrogen ions released with the addition of each nucleotide during DNA replication. 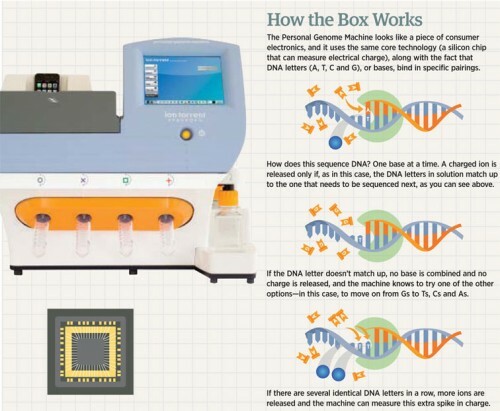 More importantly, it had the potential to decode the genome in a few hours for less than a thousand dollars. One can only imagine the excitement this semiconductor sequencing discovery would have brought to molecular biologists. The World Economic Forum called it a “pioneer of new approach to genetic sequencing,” the CT Medal of Technology praised it as the “first personal genome machine,” and Rothberg was featured on the covers of leading science journals such as Nature, Cell, and Science. From its onset, Life Technologies offered more than $375 million for the technology and eventually bought the company for a total of $725 million. It is not an easy task to build three companies in a lifetime and nurture all three to success. Rothberg attributes much of his achievement to his training as a scientist. “Researchers know that you have to be smart; you have to go through the ups and downs,” he says. “And you can’t quit until you have solved the problems.” Taking such a progressive attitude into entrepreneurship has been one of his greatest assets. He believes that the key to his entrepreneurial success has been meeting the bright people determined to achieve their goals. A visual diagram of the Ion Torrent sequencing process. Courtesy of Forbes.